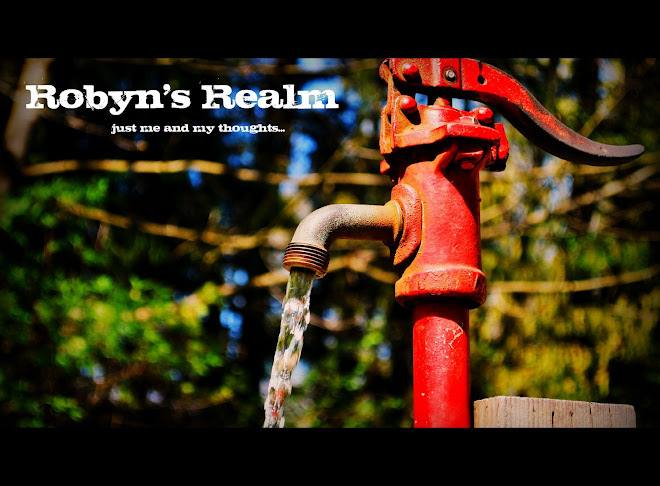 Robyn's Realm: Happy New Year 2007! fooled everyone into thinking she was a young starlet, but she was really a jewel thief called the Black Panther, the daughter of the enfamous Puma. Although I lost the jewel to another jewel thief who was disguised as a detective, I was able to steal a lot of other jewelry throughout the night and never got arrested or murdered, although I did get dumped by my boyfriend, Lord James T Burke who later proposed to two different women at the party! One said no and the other thought she would be murdered if she said no, so she said yes. Some of the ladies started the evening out with some pampering and primping at Heather's mom's house. I brought over my Mary Kay stuff and we did pedi's, mani's and got to try out some glamour looks. It was a lot of fun. We even fit 5 people into the bathtub :) ....to soak our feet! Since I didn't post anything about my Christmas I will update you all on that. Since my parents were unable to make it to Kamloops, I went with Brendon's family to Valemount to his grandparents' place. We 3 and a bit days there, had a couple of family get togethers where I met EVERYONE, opened presents, watched a lot of tv and movies, and had an awesome sn owball fight! Brendon won even though it was Bethany, Brittany and I against him. We all got facewashes and snowballs pelted at our backs and such. But it was fun. 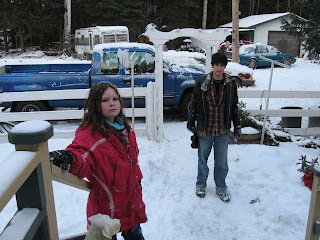 I haven't had a snowball fight in awhile. Present wise I got a Nintendo tshirt, House Season 2 and a PostSecret book from Brendon. His mom and sisters got me a frog hot/cold pack. It looks like Oscar the Grouch..I think it will be very well used..I have already used it a lot! Brendon's grandparents got me an Aromatherepy Ocean bath set. It smells pretty good. I have already used one of the bath fizzers. Pam and Brent got me a Latte Milk Frother...very excited to use that with my Chai Tea:) and a touque. My parents got me some gloves, a tshirt, a magnet, a cookbook, Robert Munsch's No Clean Clothes, a tiger calender(for Zach) as well as some Safari animals for Zach to play with...which are now spread throughout the apartment, and something else which I will get later when they come down. Heather got me a green gem ring. And then I got various chocolate and candy from people at work. It was nice. The Caramel popcorn from Chris at Youth was the best...sooo goood. So that has been a brief update on my holidays so far. I hope you all have had fun and safe holidays! Happ New Year! Posted by RobynRenee at 12:00 p.m.
Steve here from Freeform Games. 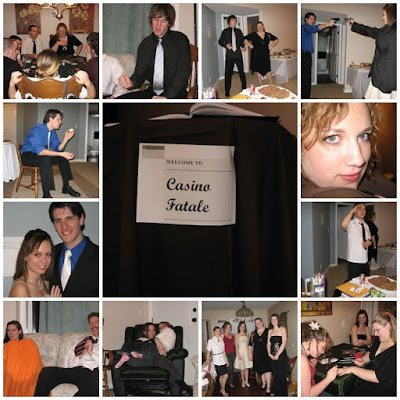 I've just come across your blog entry about our Casino Fatale murder mystery party game. I really enjoyed reading your report and looking at your photos - it looks like it was a great party and I'm pleased that our game was a success. Unfortunately I've noticed that you also give away a few of the game secrets - particularly the identity of the jewel thief. We would be very grateful if you could amend your blog entry (and photos) so that you don't give away the game secrets. I know we're asking a lot, but we've had some of our customers have their game spoilt when they have stumbled across sites like yours. As I'm sure you can appreciate, knowing who the jewel thief is in advance of the game makes it a lot less fun! This blog seems to be really excellent. Thanks for sharing this.